The Jordan Springs Hub is environmentally sustainable, it has also been designed for social sustainability and an individual’s well-being. The following are some of the key features which make the Hub an outstanding building. 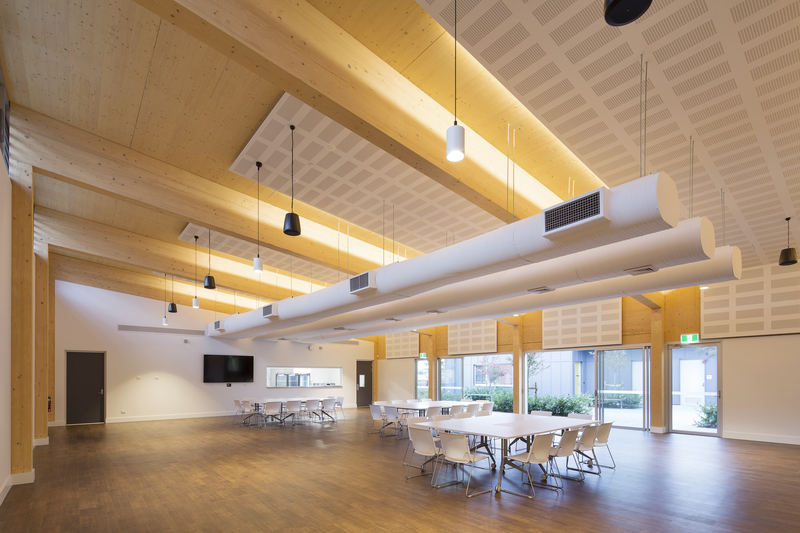 The primary construction system for the Community Hub is Cross Laminated Timber (CLT). It is by far the most environmentally sustainable construction method, being almost carbon neutral. There is a geothermal heating and cooling system which is significantly more efficient than traditional air conditioning systems, providing a 50% reduction in C02 emissions. The building materials and furniture are low VOC, contain the highest ratios of recycled content, and are recyclable and/or reusable. Additional sustainability facts of this building can be found here.